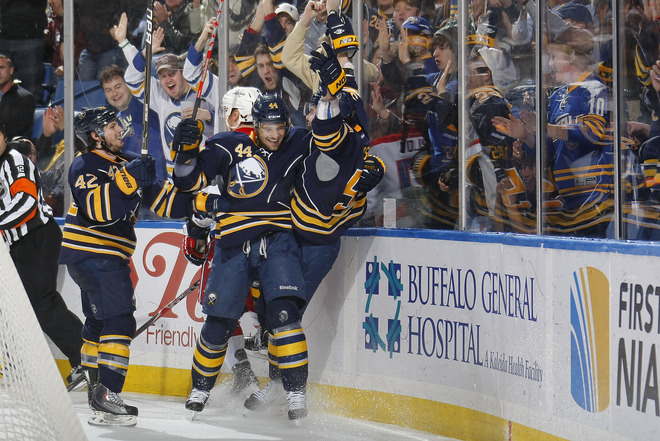 Slowly but surely the Buffalo Sabres are getting their injured players back. Brad Boyes and Jochen Hecht will play tonight and it would seem as if Tyler Myers will be playing again prior to the New Year. While see Hecht back on a line with Thoma Vanek and Jason Pominville is terribly depressing, Boyes will be skating on a new line with Drew Stafford and Derek Roy. That new combination will allow for the possibility of a Tyler Ennis, Luke Adam and Zack Kassian line. A very young, but talented trio. Ennis’ own injury could keep him out tonight. The last time Buffalo and Washington met the Capitals were playing to get their coach fired. Now the Caps are playing under a new coach, but are struggling to gain traction. The Sabres are still in quite a bit of trouble on the ice and not many solutions have been presented at this point. However, with the injury situation beginning to thin out, it would seem as if the Sabres will find themselves in a situation that will allow to make a roster move or two, if that is indeed the best way to get Buffalo back on track. Vanek-Hecht-Poiminville. 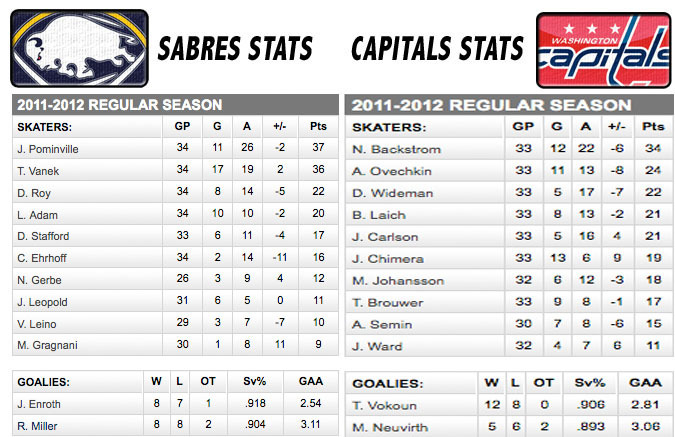 Vanek and Pominville have been the only consistent scorers all season. Vanek has been hobbled as of late, but remains the only true scoring threat. For a team that hasn’t eclipsed three goals very often, this limping top line will need to play big.